This is a 2015 Sailor Arita Special Edition 400th Anniversary Gen Emon Kiln Akadami Kikue (Chrysanthemum) Hand Painted on Porcelain. Features gold plated trim. 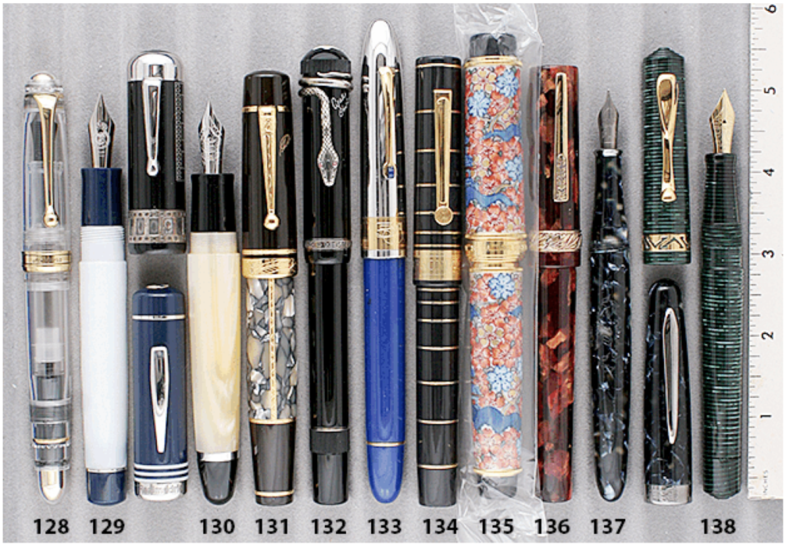 21K nib (the pen is still sealed in its cellophane so I can’t see the size of the nib). New-old-stock. 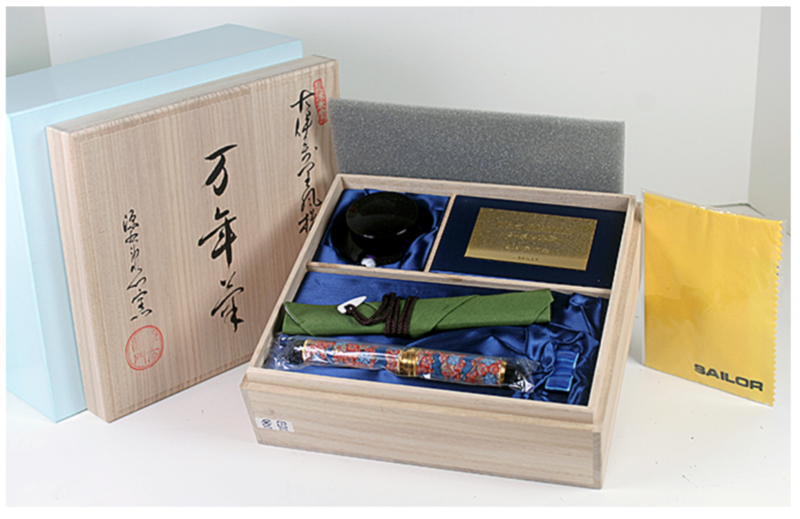 Mint in original packaging with wooden box, papers, miniature porcelain pen rest, ink bottle and outer box. Converter included. A stunning modern piece! Item #135 in Catalog #84.